All babies need a soft and cuddly baby blanket and the best ones are homemade. 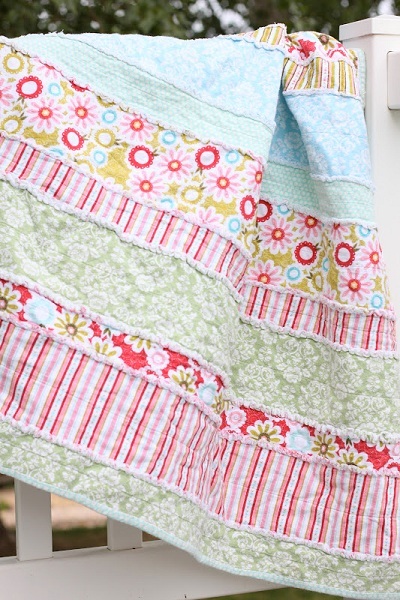 Here is a sweet and charming baby quilt made out of coordinating prints of flannel. The blanket is extremely soft which makes it perfect for wrapping up baby or placing on the floor for baby to sit or lay on. By cutting sixteen strips of flannel in various widths then sewing them together you have a thoughtful gift for a baby shower or for your own bundle of joy. Get out your sewing machine and start sewing a lovely blanket for baby.